Swiss shoe designer Stefi Talman has been creating her shoes since early in the 1980s. Seagull in flight. Isla Espiritu Santo, Baja California Sur. A model presents a creation by Michelle Torres at the International Designers Mexico Fashion Week in Mexico City, Mexico. 2011. Darkening Forest. Prague, Czech Republic. Photo taken in August 2015. Credit: Alena Sestakova. School is back in session and that means I am back to designing fashion collections! For the first collection (and there will be a total of three) of this semester I chose the American artist Lois Mailou Jones as my inspiration. What an amazing woman! My process starts with research. I spent a considerable amount of time reading about Jones and her life. I collected imagery of the painter and her art and assembled it into my sketchbook to tell a story that will inspire my fashion designs. Jones was an insightful artist who was interested in her heritage, her times, and her future. Her art documented her journey as she traveled around the world and met many an important artist in Paris and Washington D.C. Her art shows influences of Cubism and Surrealism. Traditional African masks are just one of the many topics she depicts in her paintings. I am always fascinated by the journeys people undertake. I think it is particularly interesting with artists as one can study their work and discover their beliefs and feelings about their lives. Throughout her life Jones searched for the definition of identity: who she was as a woman and as an artist. This search appeals to me as I am working through the same as a fashion designer. As you can see in my sketchbook, Jones' masterpieces were colorful and striking and full of symbolism and meaning. Upon assembling a good set of imagery, I started sketching design details and garments and will continue to do so over the next four to five weeks. Stay turned for more! Fire. PATC Lambert Cabin, Maryland. Photo taken in October 2015. Credit: Jordan Snyder. Photography is a great way to learn about our world. 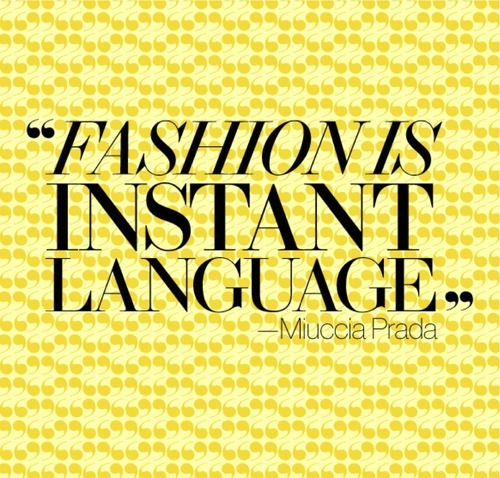 I use it as an inspiration in my fashion design continuously and keep discovering its visual value. Like many, I enjoy the colors and the mood a single photograph can capture and the moving feeling it can bring about. The National Museum of Natural History in Washington D.C. has a real treat for photography lovers. "Nature's Best Photography Presents: Best of the Best" showcases over 20 years of nature photography. There are more than 100 large-format prints and videos on display. These will take you on a journey to dramatic landscapes, animals in the world, highest peaks, and deepest seas. As you walk through the exhibition halls, you will cross continents and experience awe at the beauty of Earth. While photography captures the world around us, I like to think of what is important to the photographer. Are they capturing a detail? Do they prefer an aerial view? Is color and texture the focus of the photo? Are they seeking calmness or action? All of these questions are answered at this exhibition. The variety of photography is stunning! Scroll down to see some of my favorite photos. When you go see "Nature's Best Photography," make a note of your favorites and let me know what most moves you. Enjoy! "Nature's Best Photography Presents: Best of the Best: Windland Smith Rice International Awards" is on display at the National Museum of Natural History in Washington D.C. until Fall 2016. Fashion designer Elsa Schiaparelli with artist Salvador Dali. Panorama view of landscape. Seneca Creek State Park, Maryland. Large-scale installations by nine contemporary artists - that is the latest show at the Smithsonian American Art Museum at the Renwick Gallery in Washington D.C. What a way to re-open this recently renovated art institution! Visiting WONDER has been on my to-do list for some time and when I made it to the Gallery, I realized the trip was well worth it. The artists - Jennifer Angus, Chakaia Booker, Gabriel Dawe, Tara Donovan, Patrick Dougherty, Janet Echelman, John Grande, Maya Lin, and Leo Villareal - use unexpected materials and as you walk through the exhibition halls, you will enter a world of magic. Some of the materials include tires, marbles, thread, and blocks of wood. Since the installations are large (each artist has her/his own assigned exhibition space), the materials stand out in their sheer size and clever use. For instance, you can lie down on the carpet in the Grand Salon, look up, and admire the changing colors of "volumetric form without solid mass" in a suspended net. This net evokes tsunami waves and was designed by Janet Echelman. Fancy a hide-out? Stop in one of the pods made out of willow saplings by Patrick Dougherty. You will feel like a kid again! ​And the moment of learning something new and taking in a breath of wonder is exactly when I go to see art shows. Don't stay at home - head to the Renwick Gallery and take a deep breath.